I was very honoured to receive the Foundation Award at the World Paddle Awards event in Silkeborg yesterday, especially given the other nominees in my category. There are so many people that have helped and supported me throughout my career – to you all a massive Thanks. Without the incredible support of my wife, family and friends, non of this would be possible – or have the same meaning. To all the people that voted for me, both public and academy, many thanks. A big shout out to the University of Lincoln, School of Sport and Exercise Science, for supporting me and helping me develop a deeper understanding of the scientific method as applied to sport – which has proved invaluable to my coaching. And also a special mention to Andrew ‘Jacko’ Jackson. We have worked together on many projects over the years and pushed each other to better ourselves. It’t been an awesome journey. 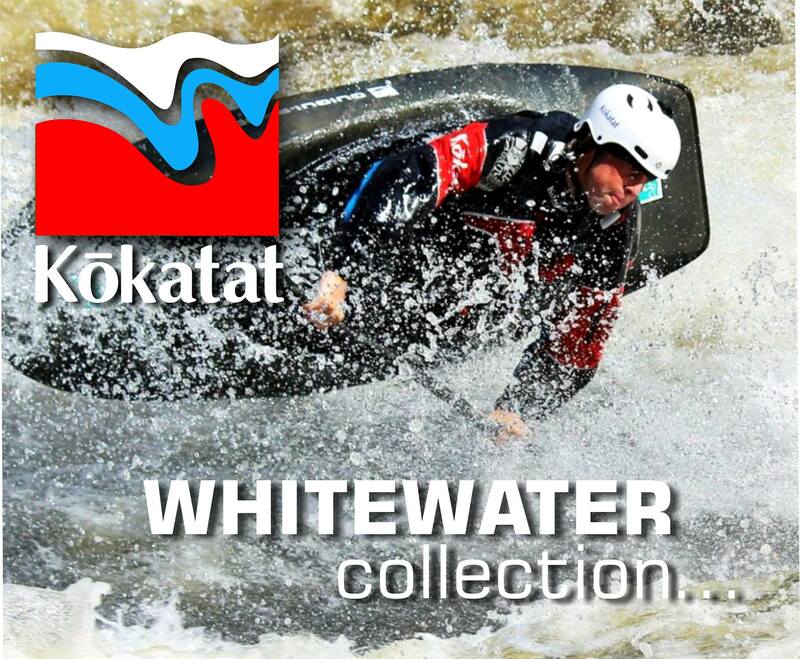 Production by Sergey Medvedev, Canoe Sport. There are so many people that have helped and supported me throughout my career – to you all a massive Thanks. Without the incredible support of my wife, family and friends, non of this would be possible – or have the same meaning. To all the people that voted for me, both public and academy, many thanks. A big shout out to the University of Lincoln, School of Sport and Exercise Science, for supporting me and helping me develop a deeper understanding of the scientific method as applied to sport – which has proved invaluable to my coaching. And also a special mention to Andrew ‘Jacko’ Jackson. We have worked together on many projects over the years and pushed each other to better ourselves. It’s been an awesome journey. 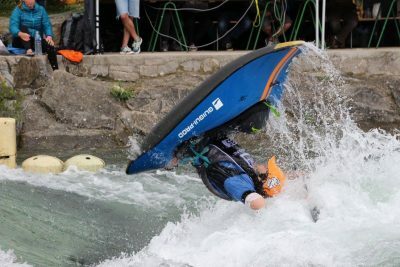 When I first talked to Dennis after the 2015 Freestyle Worlds about Joining ASP I wasn’t entirely sure whatI was getting myself into. All I knew was that he was extremely fun to paddle with, was considered somewhat of a mad scientist, but had an amazing track record (especially with Claire O’hara). I saw an amazing opportunity to improve my freestyle abilities with arguably the best coach in the sport. I started on the program January of 2016, I had decided to make the move from living full time in the US to living in the EU for better training opportunities. 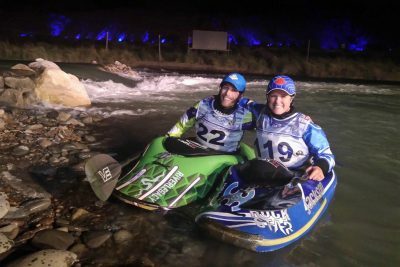 I was eager to be living in Prague where they have a world class training facility for both Slalom and Freestyle, which I was training for both at the time. What I feel I gained most from the program wasn’t technical knowledge of tricks, as I felt I already had a good grasp of most tricks, but various psychological skills such as mental toughness and tactical strategies towards competitions. Some of my favourite sessions with Dennis have been out of the water; the reviews, the brainstorming, the psychological break downs of training methods and competition preparation. From a training perspective, my favourite and most useful method I gained from ASP was “Breaking the State” meaning when you’ve become frustrated and feel like you can no longer progress through your training; you must step back, separate yourself from what you are doing, visualise, and come back to your certain problem with a new angle of attack. Not only is this useful in training situations but also for split second corrections in competition. It’s simply about being in the present, without dwelling in past (what happened) or future (what if) thoughts. Just as the perfect body position or shape makes a Clean Mc Nasty or Tight turn through a slalom gate a lot easier, a ‘a positive state’ makes it easier to maintain a strong self-belief in your own tactical decisions. I learnt it’s just as important to rehearse thoughts as it is to rehearse your competition ride, to better prepare for a range of situations which will allows me to be more responsive and adapt to the demands that I’m facing. Although this process is intended to minimize my outcome thoughts, my experiences have shown even when best prepared outcome thoughts (e.g. will this ride get me through to the next heat, will I flush off the wave) may appear in the mist of some quality process thinking. That said, it’s much easier for me now to re-focus and get back on track. Another thing I feel that I have gained while training with Dennis is a strengthened sense of visualization through meditation and physical rehearsal. This has greatly enhanced my ability to maintain or regain a positive focus, and build confidence in my practices. A skill that has been useful in acquiring new skills or strategies to enhance performance in training and competition. 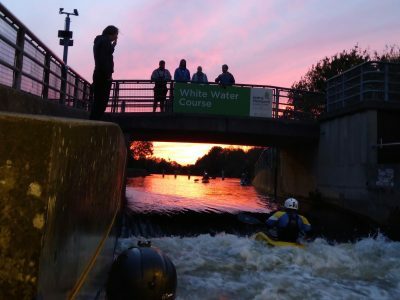 My time as a Freestyle paddler has been a long (spanning almost ten years) and enlightening experience, however sometimes goals and focuses change. 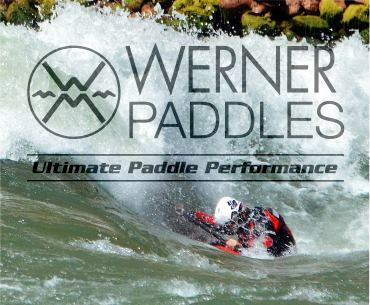 When I started, I wanted and believed I could be the world’s best freestyle paddler. 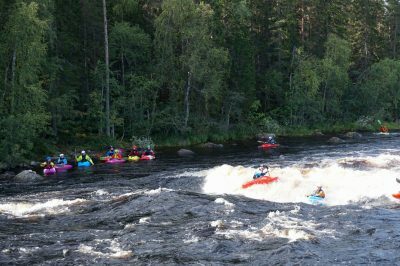 As time went on, I was training more often in a slalom boat than in my freestyle boat. I feel deeper and deeper in love with the challenge and split second difficulty that is slalom kayaking. I’ve trained hard this last couple of years to make National Team selections, and as I’ve progressed the demands have increased, I now feel to allow my full potential to be explored that I needed to choose between these two amazing disciplines. 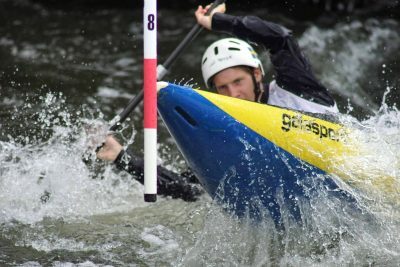 I decided to take a step back from competitive freestyle to allow more time to train and compete in Slalom, even though I have undoubtedly had much more success in freestyle. 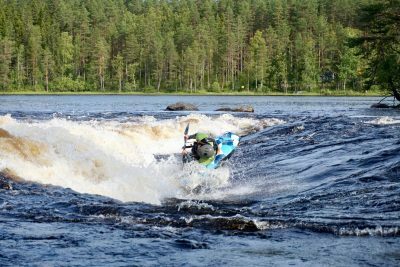 I have been a member of the Swedish National Slalom Team since 2016, and have won a handful of local slalom races and the Segre Cup in the Junior class in 2014. Although my slalom results may not match my aspirations, I hope the amount of work I am putting in my training sessions will pay off in the future. The mental skills I’ve developed as a freestyle competitor have now been transferred to Slalom, and after discussions with Dennis I plan to continue on the ASP programme to support these aspirations. Everything that Dennis does and continues to do for all the athletes he works with is absolutely amazing, the amount of dedication he has to the sport and its progression, is inspiring. The week kick’s off with a warm up day getting to know the features and setting goals for the rest of the week. The general themes of the week follow a training to train, training to compete and competing to win approach. This progressively layers skills to provide not just the technical, but also tactical, psychological and physiological elements to reach your full ride potential. It’s great fun and it’s not all about competing, it’s about throwing down the best rides possible as individuals and as a team. It’s up to you how long you would like to focus on each of these themes. 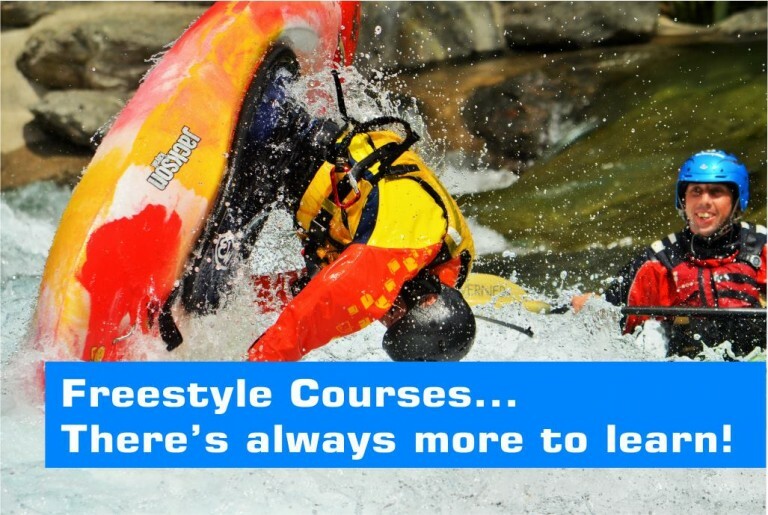 If you are just starting out in freestyle our coaches will fast track you forward. If you already have freestyle experience we guarantee to take you to the next level and open your eyes to new and progressive ideas such as combo’s, and ride strategies. In order to give you some flexibility to meet your own personal needs there’s a 5 Day £240 or 3 Day £180 option running during the same week. I’ve barely had chance to reflect on the recent World Championships; It’s been a full-on year for the ASP programme. As this training/competition cycle comes to an end, and on the back of the World Freestyle Championships in Argentina we would like to congratulate all our ASP athletes. Last year the ASP programme set out with a desired goal for our female athletes – to increase not just the depth of competition in ladies freestyle, but to raise the bar of performance in competitive ladies freestyle. We set out an ambitious target of breaking the 1000 point barrier (under the ICF scoring system). I’ve known for many years that ladies have the potential to perform any move on the score sheet, so our aim was to realise this in competition. As always the ladies rose to the challenge and showed true dedication to meeting these goals. I would like to give a special mention to Claire O’hara (GB), who has not only achieved the goal of being able to perform all the ICF moves (including trophies), but pushed forward with a ride that set a new record scoring 925 points (one move short of breaking the 1000 goal) – opening her final ride with Luna’s and incorporating Tricky’s. I would also like to give a mention to Islay Crosbie (GB), who’s only been on the programme one year, and is balancing paddling and a new career as a Doctor. Finishing 5th in the world championships, she is currently only one move short of achieving all the ICF basic scoring moves in training – inspirational! Ottilie Robinson-Shaw, just 16, won the junior Gold, showing both her drive and impressive repertoire of skills, including difficult trophies such as Back Loop-Mc Nasty in training sessions. There are many more athletes on the programme that I’m proud to be working with and looking forward to discovering what’s possible in 2018 including Heidi Walsh (GB) and Anna Bruno (USA) – both competing in their first World Championships for K1 Women. Anna also won Bronze in the Ladies Squirt. As always we have continued to focus on developing well rounded athletes who are not only highly technically skilled, but mindfully skilled to deal with the demands of training and competition at such a high standard. I can’t stress enough how far the performance bar as raised over more recent years. 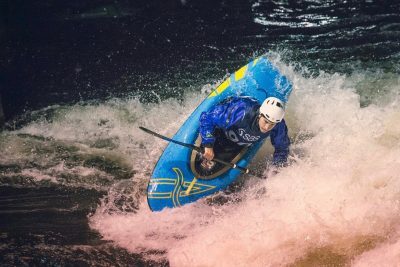 In the mens competition, Robert Crowe (now in the second year of the ASP programme) did GB proud making the final and demonstrating what it takes to be a World Champion; although just missing the podium he achieved the third overall highest scoring ride in the K1 heats. Real Gav Barker (GB) in his first year of the ASP programme just missed the cut for the finals finishing 6th overall. Both have proven capable of breaking the 2000 point rides in training and made their mark at this Worlds. Harry Price (GB) also pushed forwards with a personal best of 1216 to gain the Bronze in the Junior Men’s. I’m stoked to have been working with Harry and it’s exciting to see his potential. It’s great to see James Ibbotson (GB) show casing C1 freestyle both home and abroad. James is making great progress finishing 8th overall and really building a repertoire of moves with a 723 World Championship personal best. I know James is already adding new skills to his training rides and I can’t wait to see him throw down in 2018. 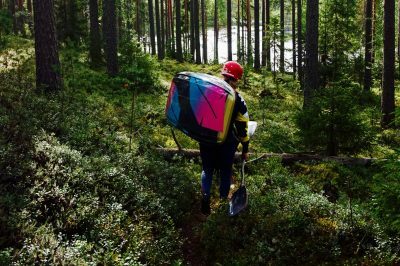 Max Karlsson (SWE) decided to take a step back from competing in the freestyle World Championship to focus on the Slalom National Team. A difficult decision, I wish him well and we are excited to be continuing to support him in his aspirations. I would like to congratulate all the ASP athletes in their hard work preparing, and competing in this World Championship, it’s always a privilege to support the athletes and I look forward to the year ahead. It’s been a busy month of coaching in the UK in preparation for the World Championships. The ASP (Athlete Support Programme) and GB Team training have gone really well. I’m also stoked to be competing this year; there’s been a few minor setbacks in my preparations, but that’s life and right now I feel prepared and strong. 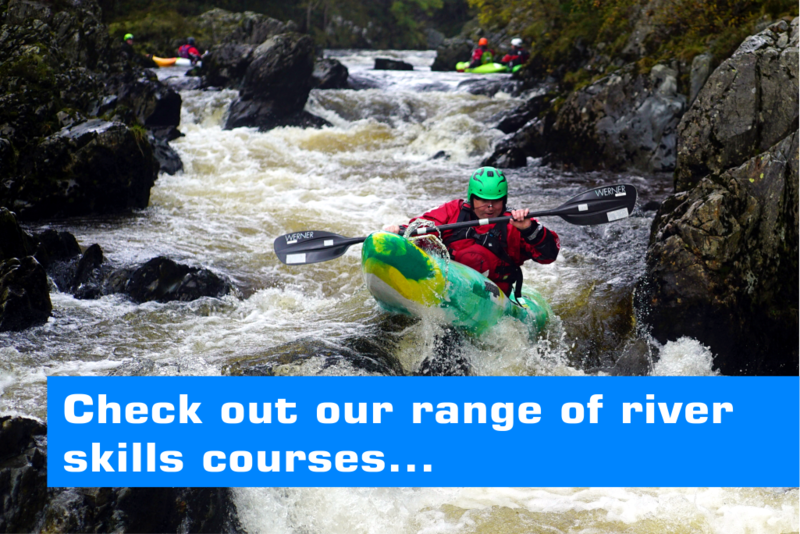 Between this, the new British Canoeing Coaching Awards has been launched and I qualified as a core trainer/assessor. There’s been some great changes to the coaching system, a big step in the right direction and I’m looking forward to supporting the awards to bring a new generation of coaches into our sport. It’s going to be another exciting end to an awesome year. I head out to Argentina next week, and will do my best to post some updates during the World Championships. 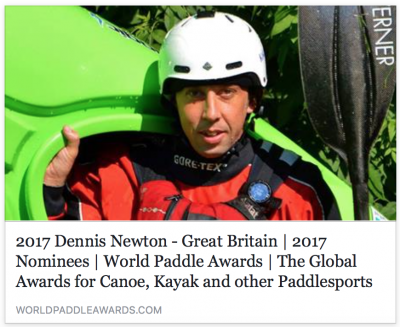 I’m humbled to be nominated for the World Paddle Awards alongside some truly remarkable individuals. 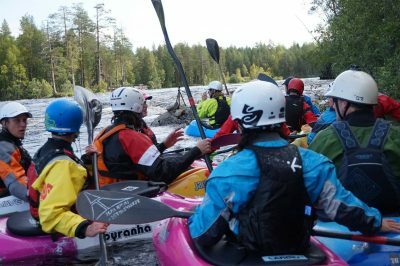 I feel privileged to have been a part of so many paddlers journeys over the last 20 years. 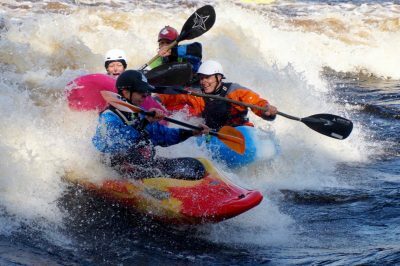 During this time I’ve had the pleasure to coach whitewater paddlesport to a diverse range of groups including children in crisis, disability sport, grass roots and world class athletes. It’s been fun and at times challenging, but I’ve learnt, and enriched my coaching, from all those I’ve had the honour to work with. I’ve been fortunate to meet and work with so many great people who have contributed to this sport and way of life. I would like to say thanks to all those who have supported me over the years. Harry Price (GB Freestyle Team Jnr) – My year on the Athlete Support Program. This year I have been super stoked to of had the opportunity to train with Dennis Newton(Sweetwater Coaching) on ADP and ASP coaching programs. 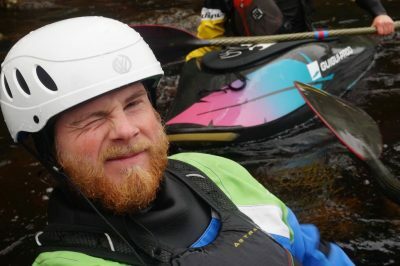 Denis’s knowledge of coaching freestyle is exceptional due to his many years of experience, his enthusiasm and pure joy for being on the water makes being coached by him a totally awesome experience. During ASP and ADP sessions; you receive feedback while paddling from Dennis, including quick tips on how to nail the move you have been dreaming about! Another important part of working on freestyle tricks is using video analysis. After most sessions we will look at video footage. Being able to slowdown, pause and re-watch certain clips makes it much easier to see where you are going wrong, or pick out good parts of your paddling! When using video feedback I like to watch clips multiple times, each time focusing on something slightly different. 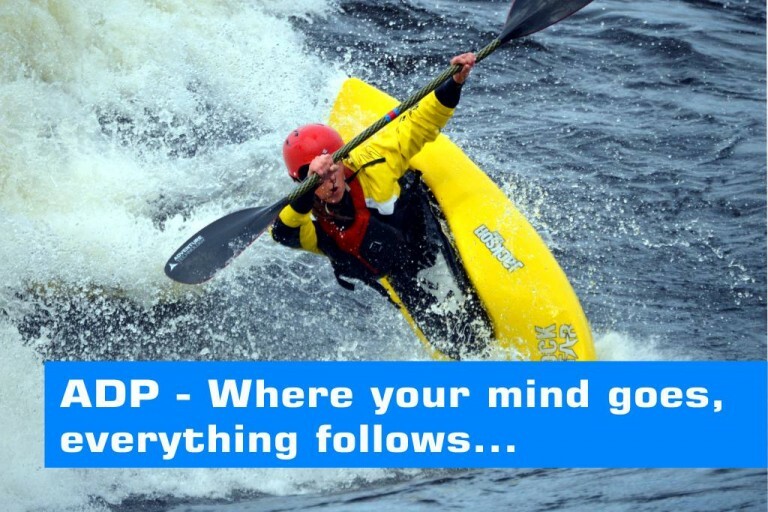 For example you can focus on the: Boat, body position, head or paddle. When going into a competition it is pretty important to have a bit of a plan. A competition ride is very personal; it can take a bit of time to get right. Its also pretty exciting to have a chat about all the awesome links and combos that could potentially be done in a competition! The most important part about planning a competition ride is to enjoy it, and let your imagination run wild! 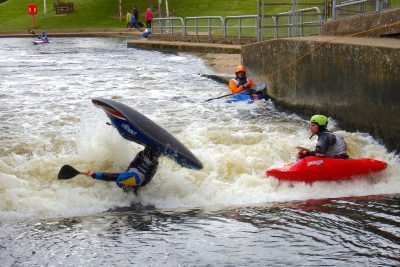 Training of the water is an essential part of freestyle paddling. One important part of paddling is doing regular stretches, you will have much more enjoyable freestyle sessions if you are not struggling with back pain… We have looked at using equipment such as foam rollers to aid flexibility as well as some nice stretches that can be done daily. Recently I have also been doing some plyometric training to aid explosivity and speed while paddling. Awesome week, so much fun… there was a wonderful atmosphere, with everyone working to support each other in achieving their aspirations. It reminded me why this is such a beautiful sport. It’s a unique opportunity to see and feel the outcome of our actions and interventions unfold; surfing waves, reflecting, smiling, laughing and just as importantly seizing the opportunity to improve and celebrate our success with others – something that I feel has far reaching effects on our daily interactions and perceptions of the world. © 2019 Sweetwater Coaching Services.